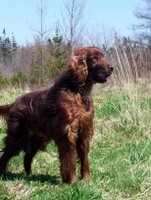 Not All Those Who Wander Are Lost: Dinah, the Irish Setter . . . .
Dinah, the Irish Setter . . . .
Dinah is CKC registered as Silverstone Sunbeam and comes to us from Silverstone Kennels Reg'd of Mountain, Ontario, Canada. 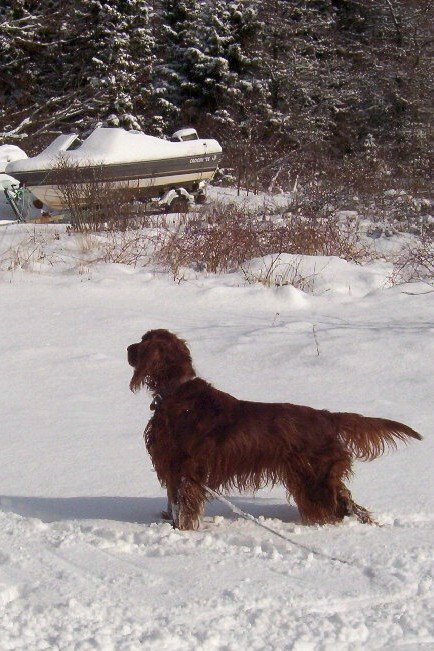 Her dam is Can Am Ch Confettis Damoiselle Shelby and her sire is Can Am Ch Confettis Automne Fragrance CD. FD. Back in 1997 Dinah's father, Jake, was one of only three Irish Setters to have won a Field Championship in Canada and if you happen to have a copy handy of In Praise of Dogs A Photo Tribute by Tara Darling and Kathy Darling you can find Jake's picture gracing one of those pages. Dinah doesn't do the showring thing. She's just very happy being a dog. Ah! Now I understand...and Dinah is regal!...I will tell my sis to look in the book (she most likely has it) ...she used to raise Afghan hounds to take in the ring. Let me know if she doesn't have it Cyndy as I can always scan the picture and post it here on the blog. Actually I think I have it in my own program files if you'd like to see it. I have a couple of local casual friends who both have Afghan Hounds. 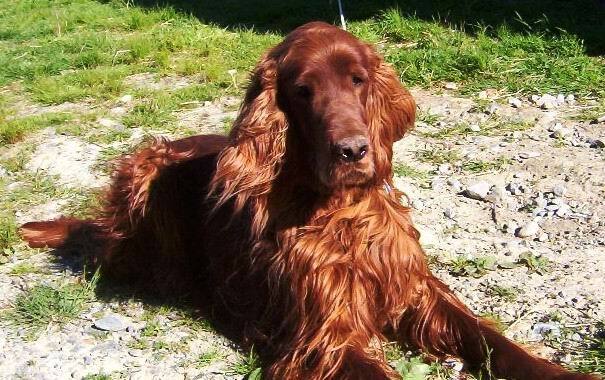 One also has Rhodesian Ridgebacks, and the other Standard Poodles. Being a dog is what it's all about. Dinah is lovely! I am blessed . . . .